A Firm Foot On The Property Ladder! 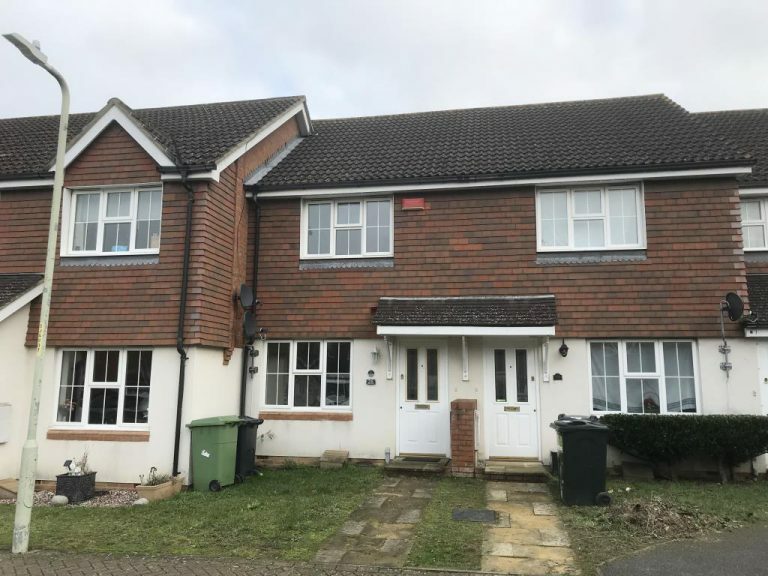 A wonderful, mid-terrace house in Ashford, Kent, will be going up for auction on February 5 and with a guide price of £175,00-£185,000 (plus fees), we believe this property is a great find for a couple or someone that is taking their first step into owning their own home! Offered freehold with vacant possession, this well-presented house is located on the popular Park Farm Estate in Kingsnorth, north of Ashford town centre. The property has double-glazed windows, a gas heating system via radiators, and a modern kitchen and bathroom. The front of the house has a well-maintained grass area and a stone path that leads towards the front door. As you walk in, there is an entrance hall, cloakroom with W.C, living room and modern kitchen/dining room on the ground floor. 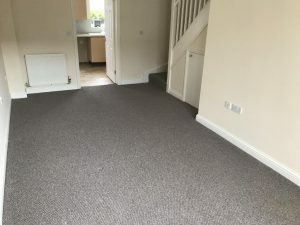 Moving up the stairs to the first floor, there is a landing that leads to the two bedrooms and well-presented bathroom with W.C. As well as the front garden, there is a rear garden that is accessed through the ground floor. The property also has allocated parking nearby for your convenience. The growing town of Ashford is home to some well-established employers, like Eurostar, as well as top schools and great shopping facilities, like the Ashford Outlet Centre. Its train station offers fast access to London and Europe – London St. Pancras is 38 minutes away and direct trains to Paris mean you can arrive in the City of Lights in under two hours on the Eurostar. 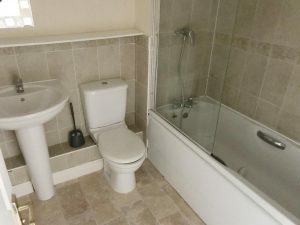 The property is ideal for investment, owner occupation or first-time home-owners. 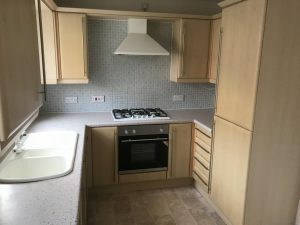 To arrange a viewing, please contact us on 01622 608400. The property will be going under the hammer at our Kent & South East London auction on 5 February.